Clinically proven (MP)2 uses proprietary technology to create a highly efficient, tightly woven energy matrix. This dense energy matrix penetrates multiple layers of skin, heating it from the inside out.Deep skin penetration ensures exponentially improved clinical efficacy and produces clearly visible results. (MP)2 technology found in the Venus FREEZE has had great results in over 1 million safe and effective treatments worldwide. Ask us about (MP)2 and how it can help you! 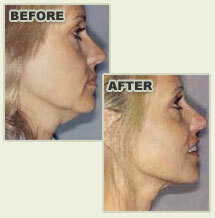 With our patented (MP)2 technology, you often can see results after the first treatment. Long term results can be achieved in as few as 6-8 treatments. The only technology that increases collagen synthesis via 2 separate mechanisms, resulting in a dramatic improvement in the skin condition.